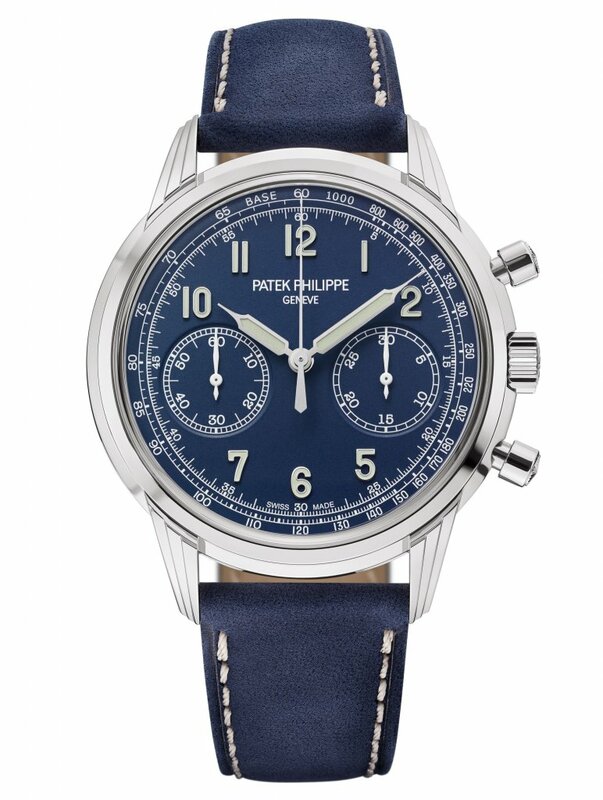 Patek Philippe at Baselworld 2019 An excellent vintage, crowned with two new complicated wristwatches. 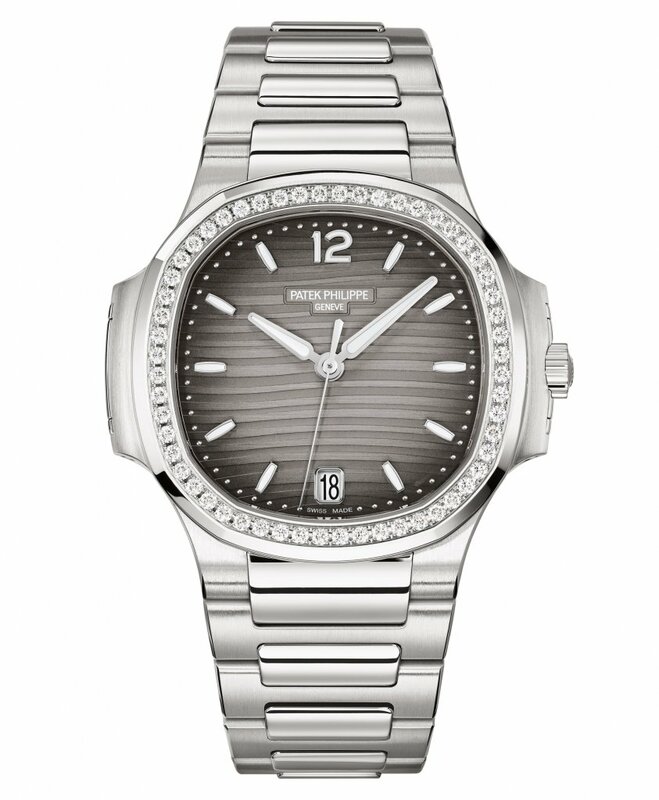 In keeping with its Baselworld tradition, Patek Philippe is unveiling a selection of 15 debuts – 10 new watches for men, 5 for ladies – that enrich the manufacture’s current collection in a coherent and balanced presentation on the occasion of the industry’s annual rendezvous. A new self-winding grand complication introduces a technical innovation: The Ref. 5520P-001 Alarm Travel Time in platinum combines the exclusive two time zones mechanism with a 24-hour alarm that strikes a classic gong. 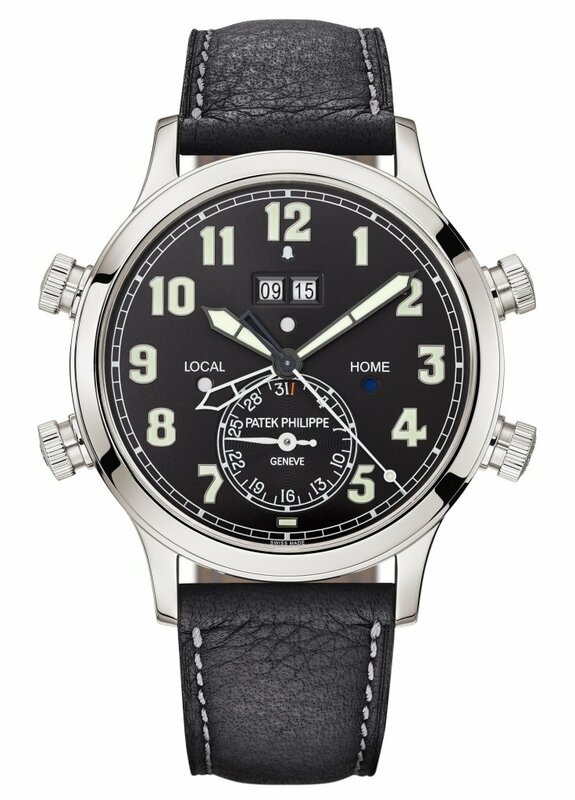 This quintessential globetrotter’s watch is endowed with a fully integrated movement for which four patent applications were filed. 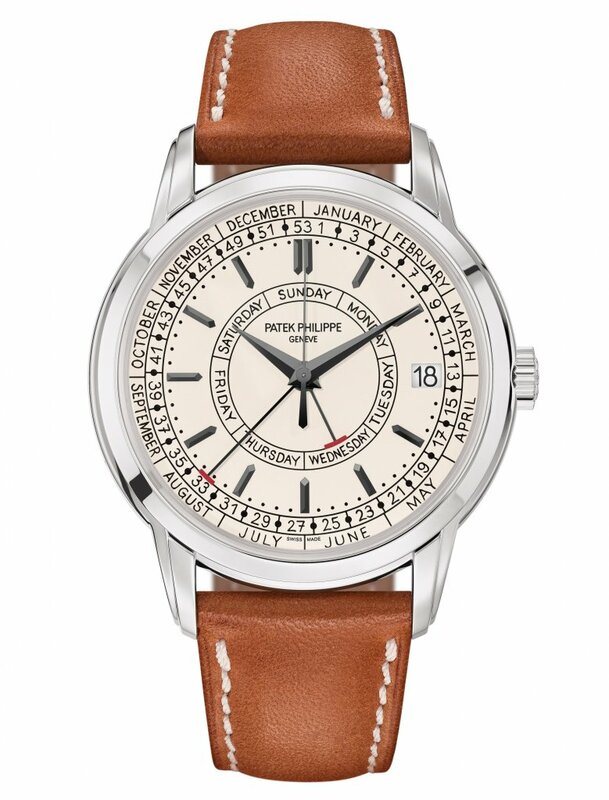 Patek Philippe is also presenting a debut in the calendar watch segment: Apart from the day of the week and the date, the weekly calendar mechanism also displays the week number. The Ref. 5212A-001 Calatrava Weekly Calendar in stainless steel features a totally new self-winding base movement with an optimized performance spectrum. Additionally, the manufacture aesthetically evolved several flagship models in its men’s collection, endowing them with new and unique looks. 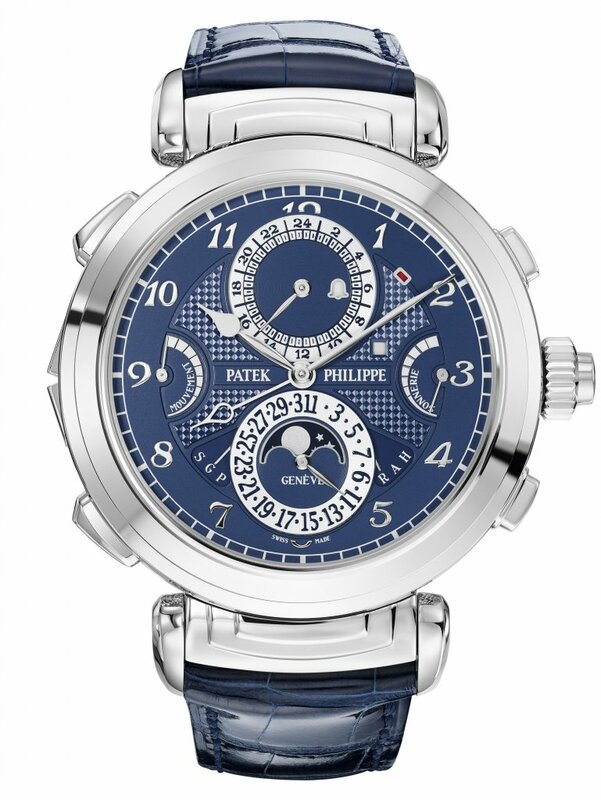 The Grandmaster Chime is Patek Philippe’s most complicated wristwatch (20 complications); it combines mechanical prowess and elegance in a white-gold version with two blue opaline dials (Ref. 6300G-010). The self-winding Ref. 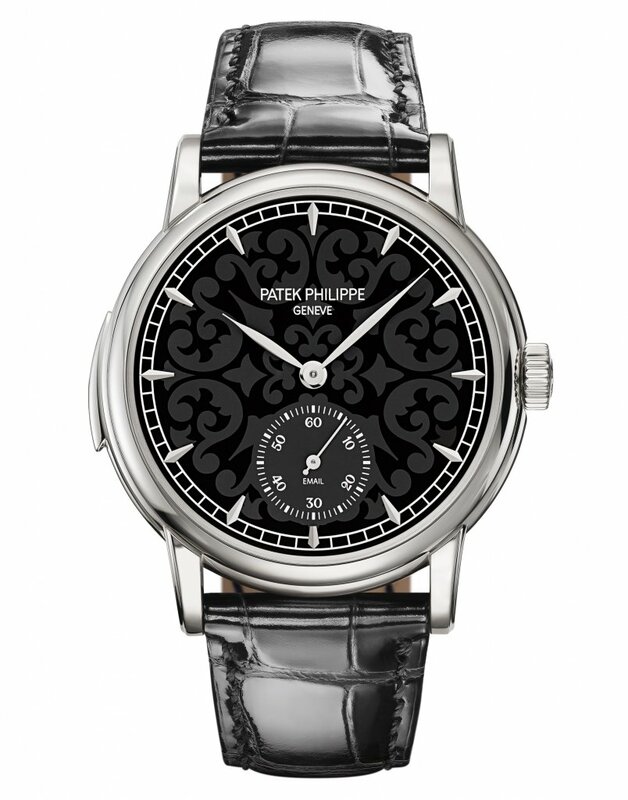 5078 minute repeater salutes Rare Handcrafts, highlighted in a white-gold model with a black enamel dial decorated with volutes and arabesques (Ref. 5078G-010). 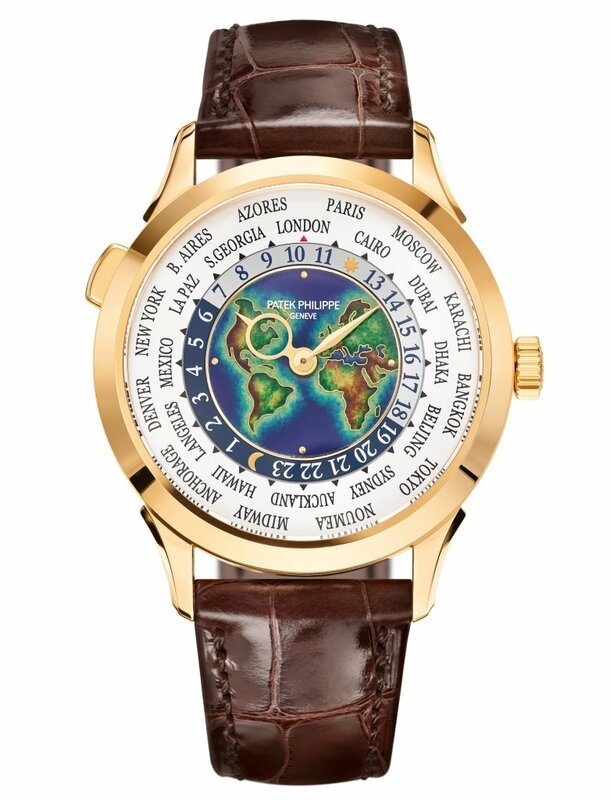 The World Time watch that depicts a map on its cloisonné enamel dial is housed in a newly designed yellow-gold case (Ref. 5231J-001). 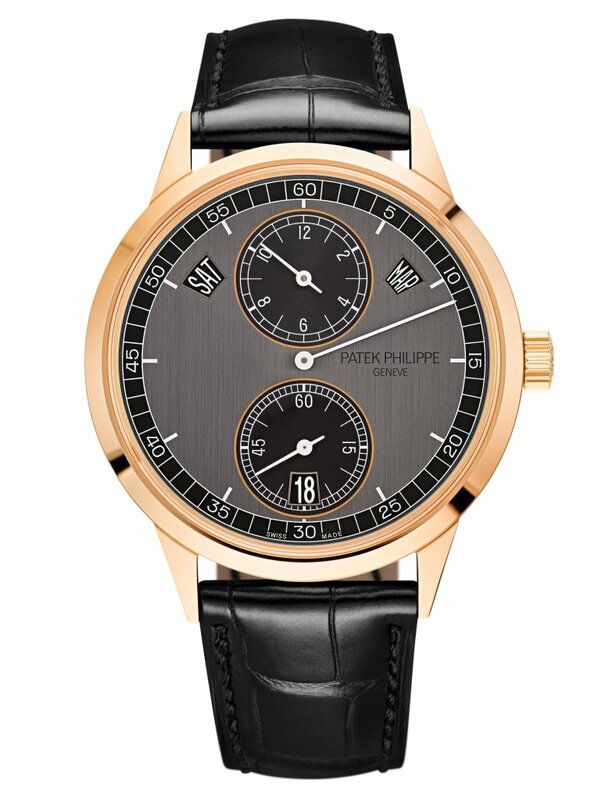 An inimitable look: the Annual Calendar Regulator is cased in rose gold, featuring a two-tone dial in charcoal gray gradated to ebony black (Ref. 5235/50R-001). A manifestation of classic design (column wheel, horizontal clutch, manual winding), the chronograph has a new case with vintage nuances and a reworked dial (Ref. 5172G-001). 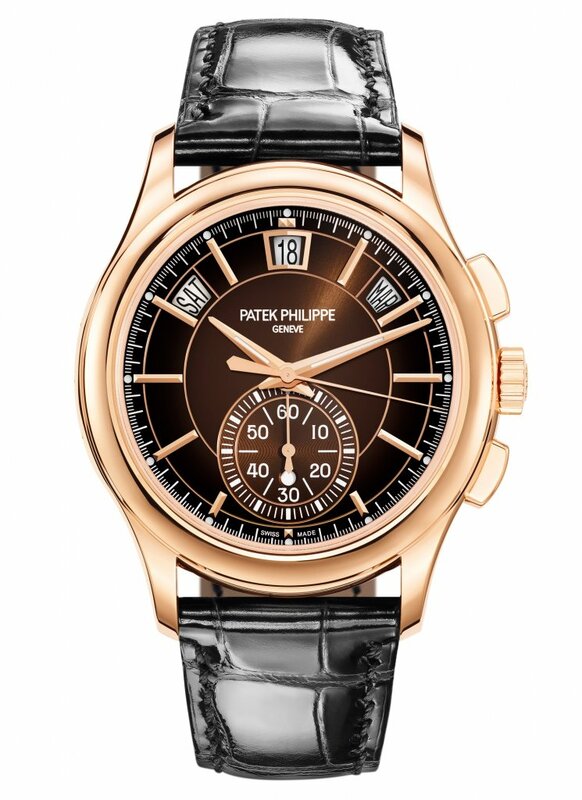 The Annual Calendar Chronograph comes in rose gold with a brown sunburst dial (Ref. 5905R-001). 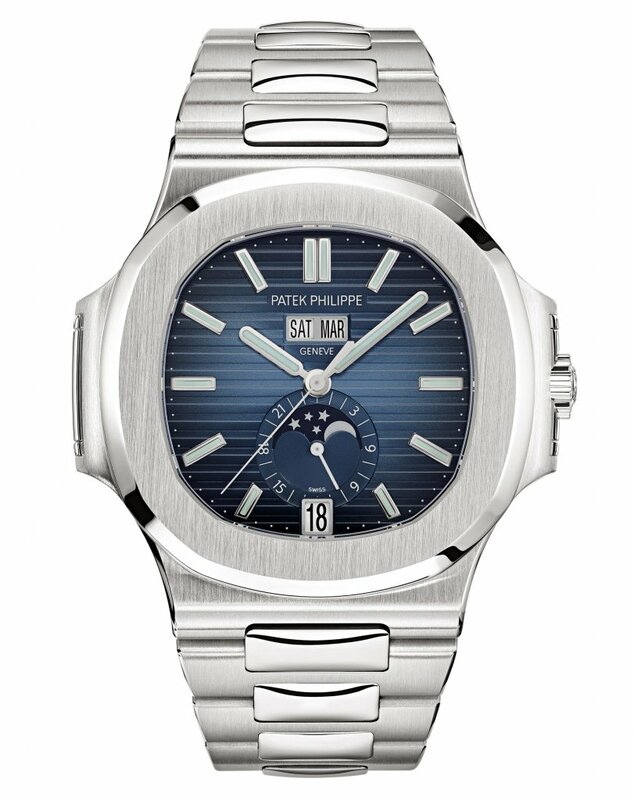 The stainless steel Nautilus with an Annual Calendar and moon phases emphasizes casual elegance with a new blue dial (Ref. 5726/1A-014). 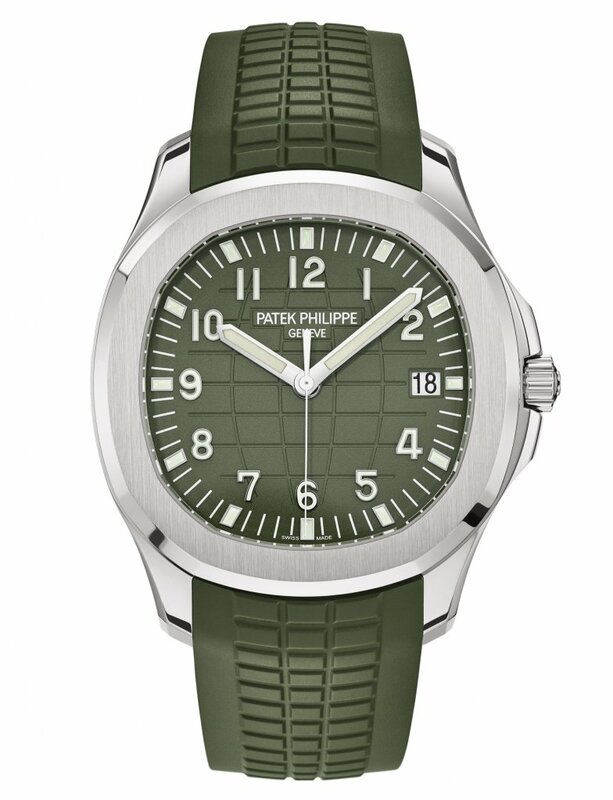 Cased in white gold, the Aquanaut “Jumbo” underscores its youthfully dynamic style with a model in khaki green (Ref. 5168G-010). 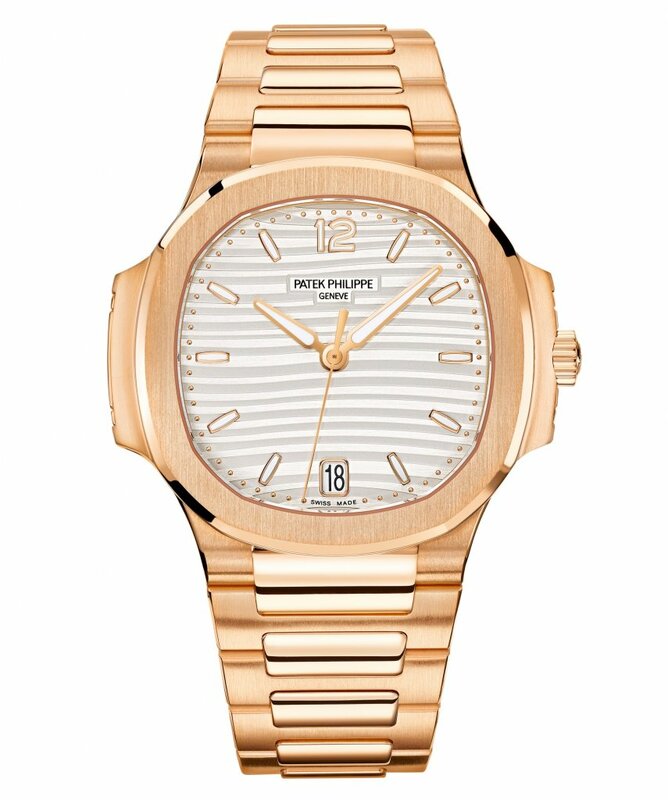 The ladies’ watches also stand out with many refined enhancements. 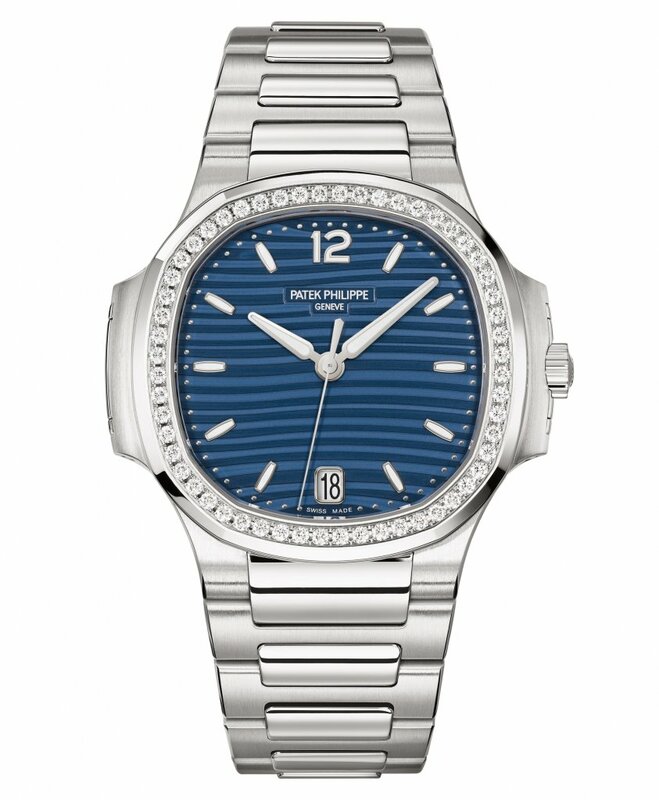 The self-winding Nautilus for ladies in stainless steel with a diamond-set bezel leverages its presence on the wrist with a slightly larger diameter and new dial colors (Refs. 7118/1200A-001, 7118/1200A-010, and 7118/1200A-011). 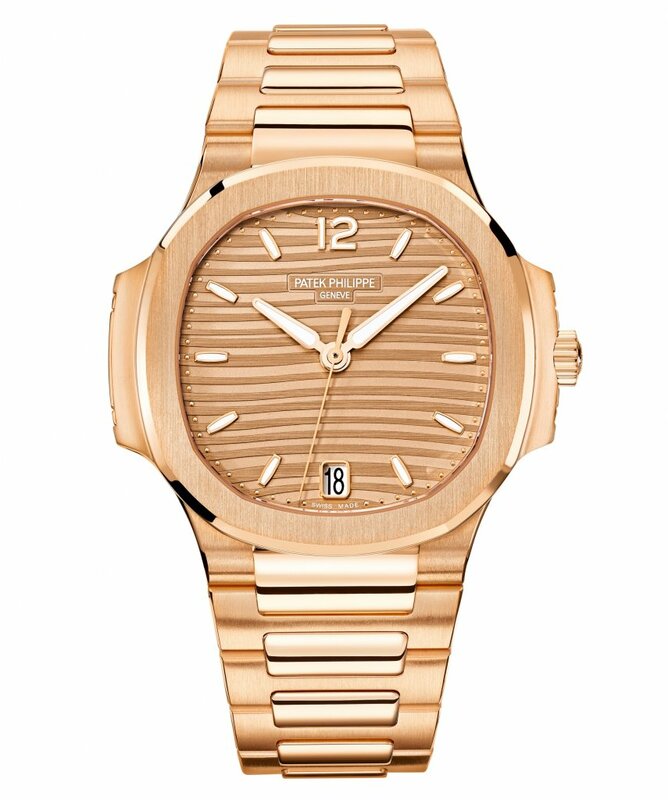 The self-winding ladies’ Nautilus in rose gold melds casual appeal and elegance in two new models with plain bezels and silvery opaline as well as golden opaline dials (Refs. 7118/1R-001 and 7118/1R-010). 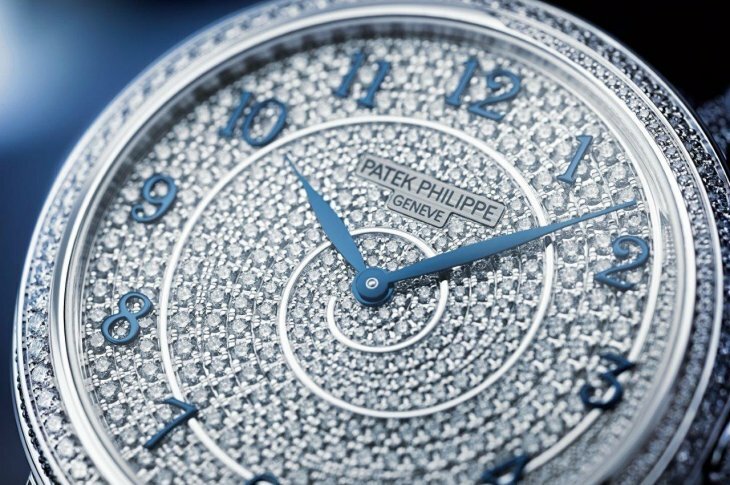 The unique diamond setting on the Patek Philippe Diamond Ribbon Joaillerie wraps around the case like the ribbon of a floor gymnast; the spiral composed of brilliant-cut diamonds on the dial receives new prominence in a slightly enlarged white-gold model (Ref. 4978/400G-001). 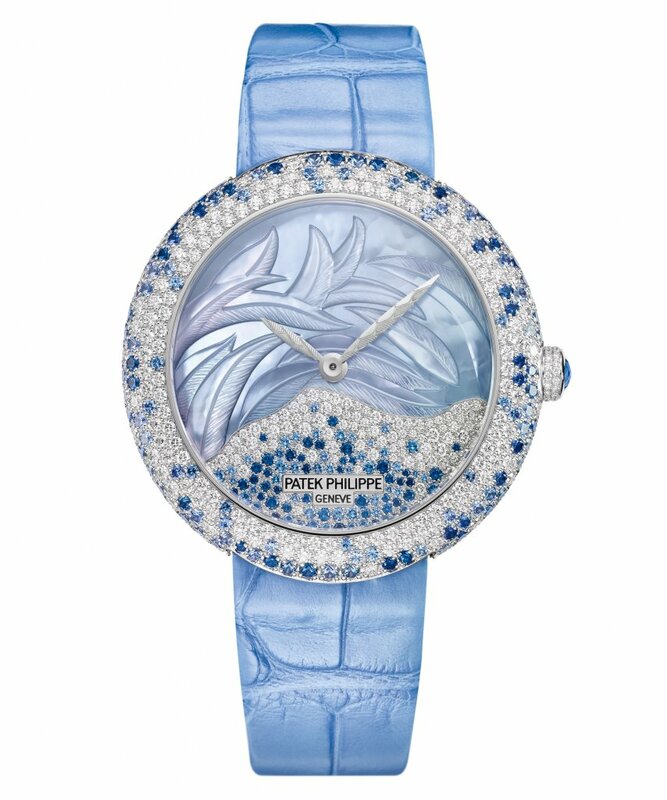 The Calatrava Haute Joaillerie with a plumage engraving on its mother-of-pearl face redefines the harmony of white and blue by interspersing diamonds and blue sapphires (Ref. 4899/901G-001). 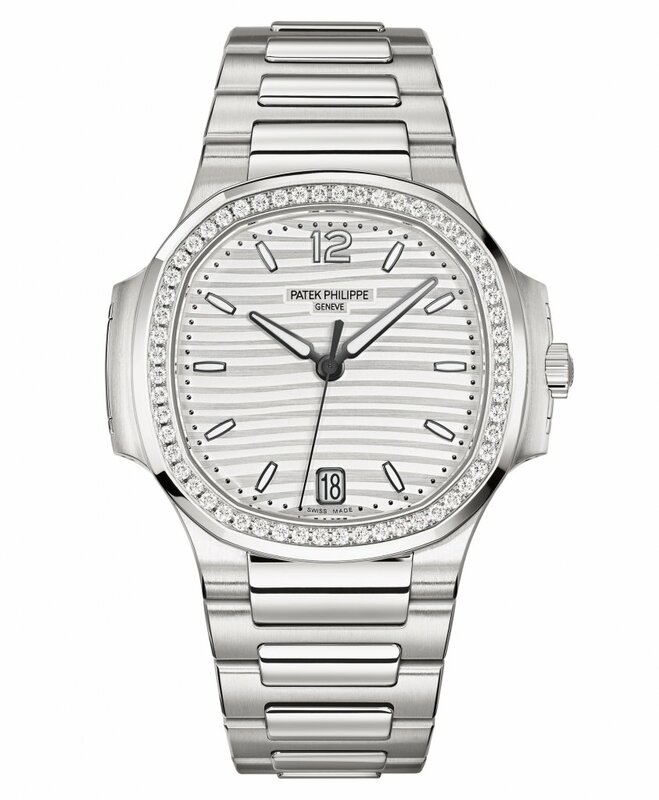 The Twenty~4 Automatic is the latest addition to Patek Philippe’s range of ladies’ watches. A new haute joaillerie version in pink gold manifests timeless elegance with diamonds set in random pavé configurations. 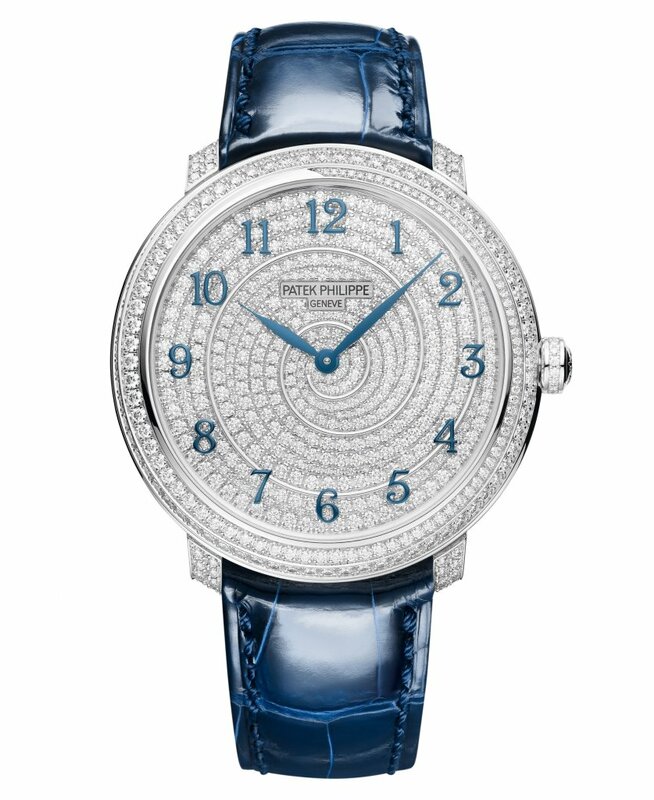 By keeping endearing traditions alive, Patek Philippe also pays tribute to Rare Handcrafts such as manual engraving, cloisonné enamel, miniature painting on enamel, enamel on faience, wood micromarquetry, etc. These skills are exemplified in a stunning collection of more than 50 pocket watches, wristwatches, and dome table clocks – vibrant examples of the pinnacle of craftsmanship.